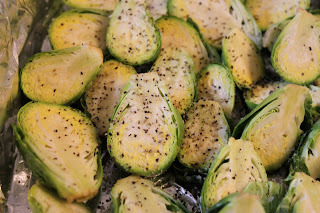 If you would have asked me before last night if I ate Brussels sprouts, I would have said no. 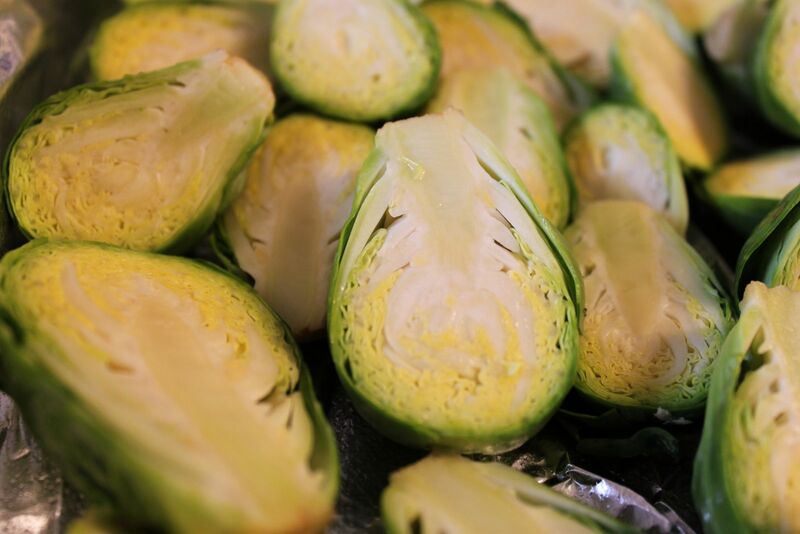 I love cabbage but there was something about the miniature version of it that I found to be less palatable. I had only had Brussels sprouts boiled or microwaved from one of those frozen packets. Either way, yuck! So, I started thinking about how much I loved fried cabbage and how roasting broccoli takes away some of its pungency. 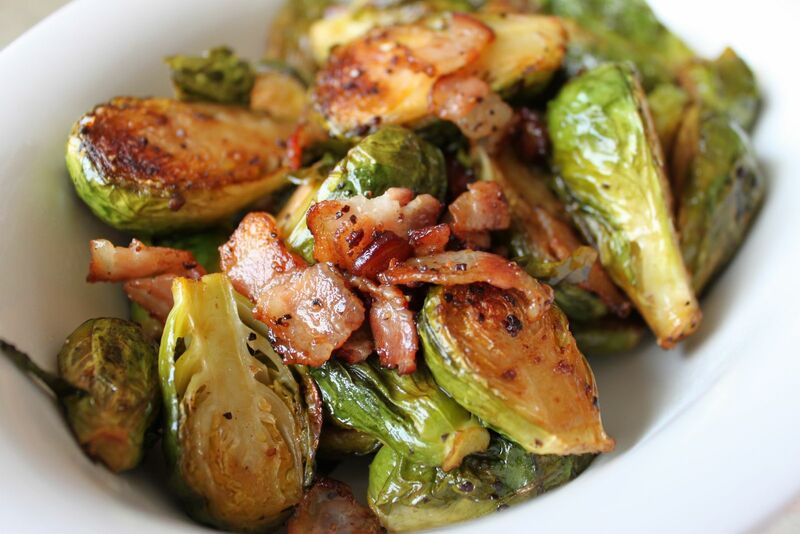 Surely, Brussels sprouts could be saved by roasting and bacon. Saved is an understatement...they are now irresistible! Preheat oven to 400 degrees. 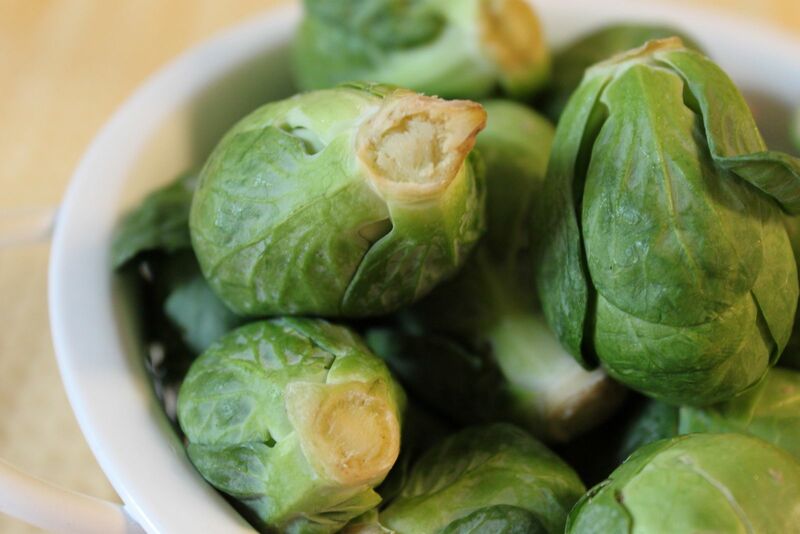 Rinse Brussels sprouts and cut each one in half. Place on a greased baking sheet. Sprinkle evenly with salt and pepper. Drizzle with soy sauce. 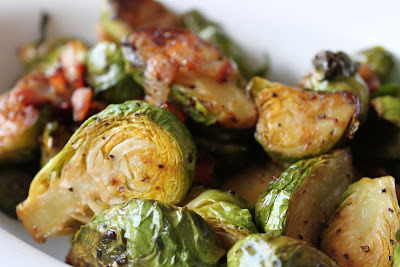 Distribute the bacon evenly over the Brussels sprouts. Drizzle evenly with olive oil. Roast in the oven for about 20 minutes, stirring often to prevent sticking. They really are cute. I found them in a mesh bag in the produce section of the grocery store. They're pretty hearty as they sat in the produce drawer of my refrigerator for over a week until I built up my nerve to cook them. I love produce that can hold up until I get around to it. Slice them in half and put on a foil-lined baking sheet that's been sprayed with non-stick spray. Sprinkle evenly with salt and pepper and soy sauce. 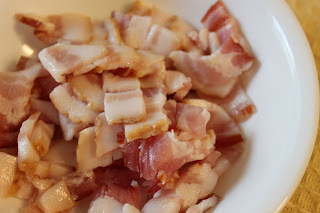 Go lightly on the salt as the soy sauce and bacon are salty. If you have issues with salt, you may want to cut the salt back even more and use reduced sodium soy sauce and bacon. I cut the bacon fairly small. 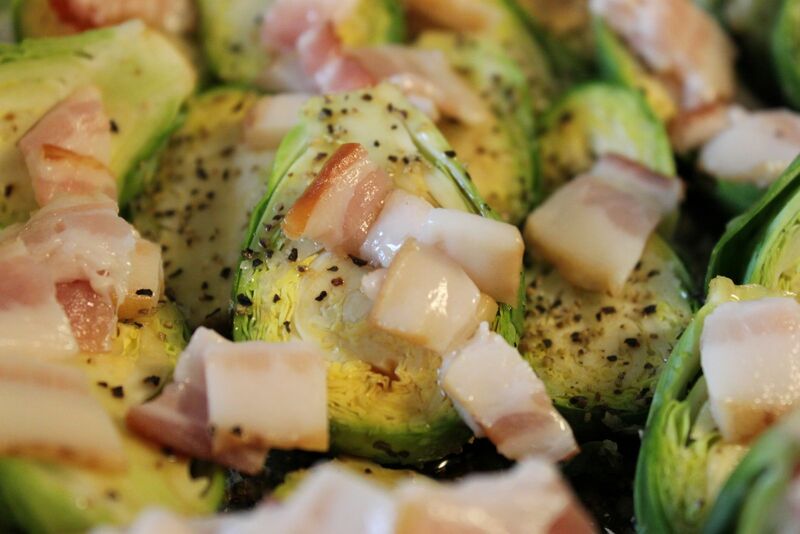 Drop the bacon evenly over the Brussels sprouts. Drizzle with olive oil. I started out with about a teaspoon of olive oil, but I found that even with the bacon, the brussel sprouts were drying out and sticking. So, I added some more olive oil during the roasting process. Just keep your eye on them, stirring and adding olive oil if needed. Don't lower the oven temperature. They need to cook at high heat to get the caramelization that makes them so delicious. My husband and I ate the entire bowl by ourselves in one sitting. They're that good! I hope you'll give them a try. I'm not an expert on storage either. I would guess a couple of days in the fridge. Or, if you want them to last longer, freeze them after they're prepared.